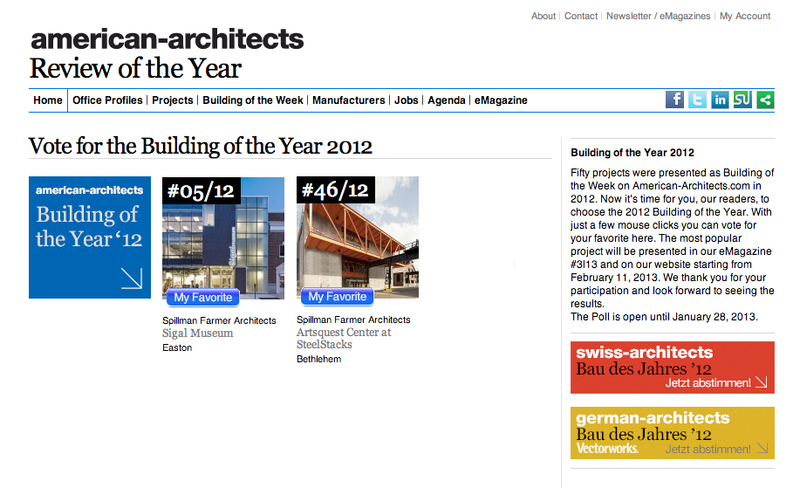 Spillman Farmer Architects is thrilled to have two projects in the running for the prestigious 2012 building of the year award over at the American-Architects website. The Sigal Museum and The Artsquest Center are both in the running for top honors. We’d like to thank the clients and patrons of both projects for being committed to the built environment and making the effort to create lasting architecture.